The Codfather gets behind Jenny’s Tree of Hope Bike Trek! Reg Singh (aka The Codfather) owner of the Downtown Fish Bar in Tunbridge Wells, is sponsoring Tree of Hope’s office manager Jenny, as she gets on her bike, and cycles 330 miles from London to Brussels via Amsterdam. 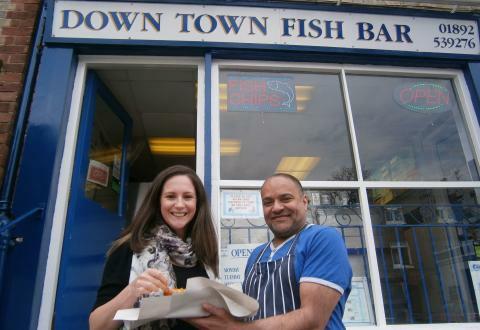 We love what Downtown Fish Bar do too – best chips in town!